Fall brings around so many delicious dishes to use with squash. I love to simply cut a squash in half and brush with olive oil, season with salt and pepper and roast it. Then the skin just peels right off and with the roasting it brings out the natural sweetness. This is how I prepared it for this dish, Creamy Butternut Squash Pasta. For today’s dish we used Shirataki Noodles from House Foods, they are perfect for a low carb or gluten free diet. Plus, they are extremely low in calories, are non GMO and vegan. The noodles are made by blending the flour of Konnyaku (a member of the Asian yam family) and tofu. The noodles are exceptionally easy to work with, just a fast rinse and a quick 2-3 minute boil is all that is needed. Shirataki noodles will accompany any sauce just like regular pasta and make a perfect side dish t0o! Creamy Butternut Squash Pasta would make a delicious dish for the holidays also. 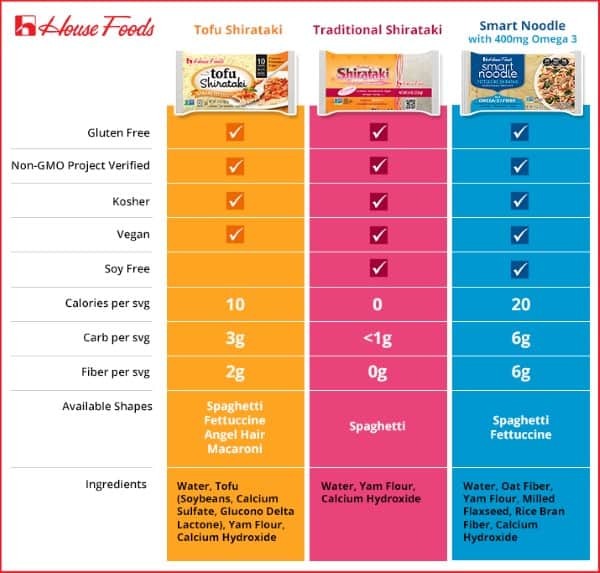 Here is a great chart to show you all the benefits of their Tofu Shirataki, Traditional Shirataki and Smart Noodles. Pretty plain to see why they are very popular for these reasons!! 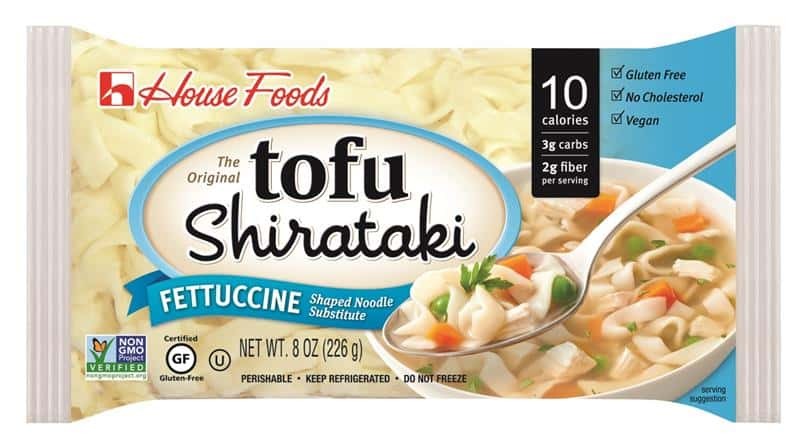 Tofu Shirataki has only 10 calories and 3g carbs per serving! That is rather amazing!! You can substitute them in all your recipes where regular pasta is needed. 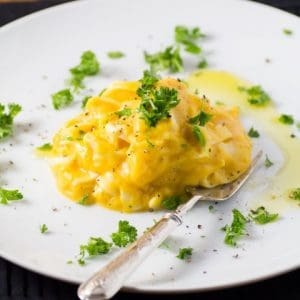 An easy side for the holidays, Creamy Butternut Squash Pasta made with low carb, gluten free Shirataki noodles. Preheat oven to 400F. With 1 Tbsp. olive oil brush the flesh side of the butternut squash. Salt and pepper and place flesh side down on a rimmed baking sheet. Bake for about 40-45 min. until tender. Let cool and remove the skin. Place the squash in a blender in batches with the cream and stock and whirl until a smooth sauce has been achieved. Using more or less of the vegetable stock. Heat the remaining Tbsp. of olive oil in a large saute pan. Saute the garlic for 1 min. Add the squash puree. Add in salt, pepper, sage and nutmeg. Cook on low, covered for 5-10 min., it will splatter so you need a lid. Stir often. Add in Parmesan cheese. When the pasta is done add to the sauce. Garnish with a drizzle of olive oil onto the plate and decorate with parsley and serve. Note: If you don't want to make the entire 4 pkgs., freeze half the sauce and use 2 pkgs. 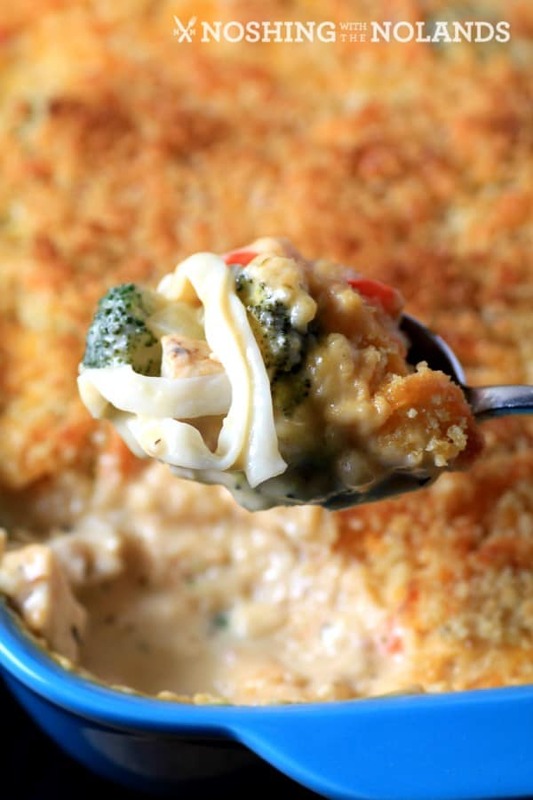 Another great holiday dish is our Cheesy Chicken Broccoli Noodle Casserole using the wonderful Shirataki Noodles. 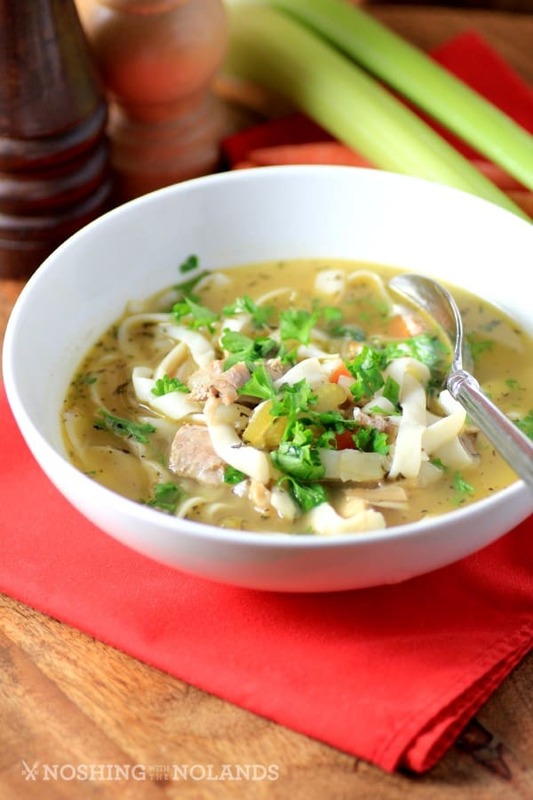 Or a fantastic Easy Light Turkey Noodle Soup which is a great low carb option for that leftover turkey and perfect after all the indulging! Oh wow! That’s really cool. I’ve never heard of tofu pasta before. It’s a great alternative to the empty carbs of regular pasta. Interesting. I would have never thought about tofu = pasta. I always envision the cubes at the grocery store. Wow this looks heavenly! I love butternut squash and I tried the soup now I want to try this. Thank you for the idea. This will be a perfect Christmas meal. This looks so good!!! What a great vegetarian option, I love squash dishes they are so filling and full of flavor! This is a great idea for the squash I have in the kitchen..something fun and new. As a vegetarian this recipe is so up my alley! First of all your pics are mouth wateringly DELISH looking and I’m so glad you shared your recipe I’m definitely going to try and make this for our thanksgiving feast with our tofurkey! That looks delicious! I had no idea that they made low carb noodles, I’m definitely going to look for them in the store, I follow a low carb diet as much as possible. I have never thought of using tofu in place of pasta. It’s such a good way to replace carbs with protein. I have never made anything like this before but it looks delicious. I think that I could give this a shot and my family would go for it. I need to show this to my brother. He is vegetarian. I absolutely love squash. I have never thought to make it like a pasta before. So awesome. I would definitely make this as a side dish or maybe even the main one. It looks so appetizing. Creamy Butternut Squash Pasta looks so delicious and easy to make. I will have to give this recipe a try this week. I know my family will love it. I love cooking with squash. I will have to pick up the ingredients I need to make this for dinner this weekend. It looks so delicious. This looks like a delicious way to cut carbs. I am excited to give this recipe a try. There are so many great ways to cook with squash. I think this looks so freakin good! I really would love to get some butternut squash to make some for my family. 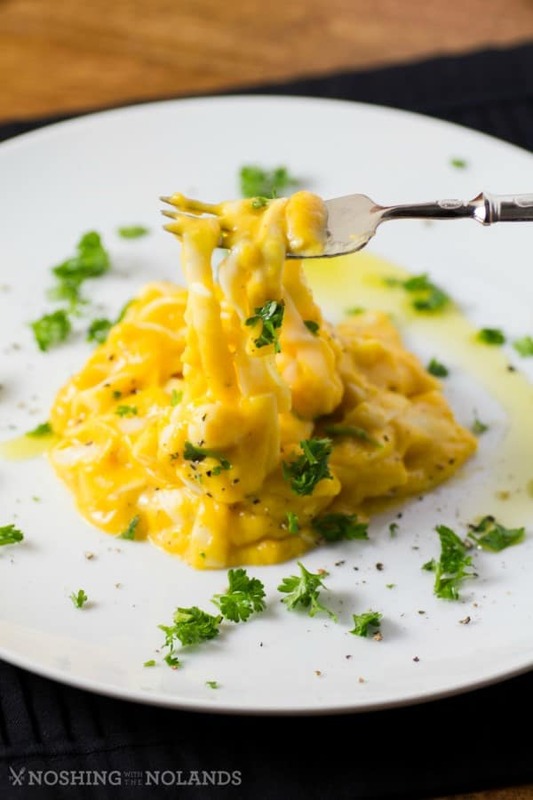 My good friend has a Vegan cheese sauce recipe that probably would be amazing with this butternut squash pasta. I’ll have to tell him about it. That looks soooooo delicious! I had no idea that they made healthy noodles! Love it! OH this does look delicious. Butternut squash and those noodles sound fabulous. Oh yum! This sounds like such a comforting dish. I like working with squash. The noodles sound good too. I’ve never heard of this type of noodle before. This meal looks delicious though! Squashes are one of my favorites!! Thanks for sharing I’ll have to go try these. Great recipe! My hubby and kids love butternut squash! I’m going to make them this pasta for dinner! Thanks! This looks so delish! 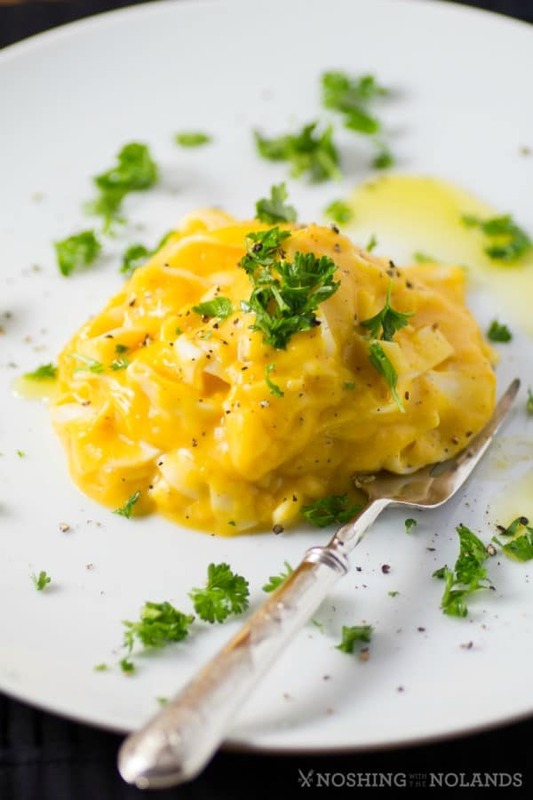 I love creamy squash pasta so this is right up my alley! Ooh that looks so yummy. I just bought a spiralizer and have a butternut squash in my fridge now, so I think I’ll make that for dinner tonight. Thanks for the recipe.